We now have an online store. Click the shopping cart above and SAVE! 20% off with shopping code at location: just mention "Health"
Now also live radio streaming daily at www.RickyHigh.com at home page. Interview of David High on Fox news KMPH. Live radio broadcasting of nutrition information by Dr. Dave High at www.RickyHigh.com home page. Press the radio dial and enjoy the Ricky Andrew High Radio Show and nutrition info by Dr. Dave. 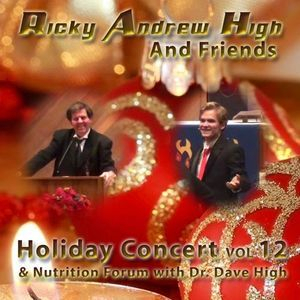 Dr. Dave nutrional talk at Ricky High concert December 2012. Topics include the nutritional value of different types of nuts, Frankenscene, Myrrh and gold. The CD and DVD also features holiday songs performed by Ricky High, an award winning singer. 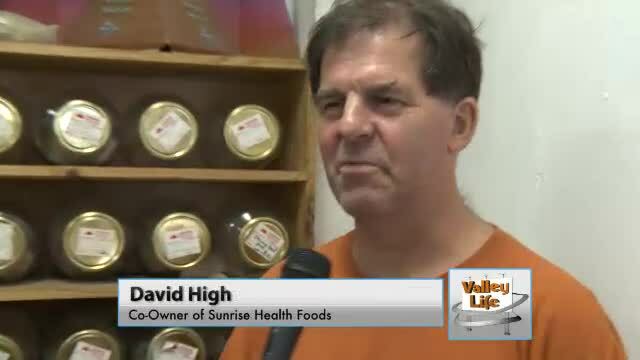 Dr. Dave High nutrition talk at Sunrise Health Foods.